WONDERFUL BEVERLY HILLS ADJACENT INCOME PROPERTY. 7 UNIT COMPLEX 100% OCCUPIED WITH UPSIDE POTENTIAL. THE OFFERING REPRESENTS A UNIQUE BUYING OPPORTUNITY TO ACQUIRE AN APARTMENT BUILDING WITH A STRONG VALUE-ADD POTENTIAL, IDEAL FOR SAVVY INVESTORS WHO ARE LOOKING FOR SIGNIFICANT RETURNS. THIS PROPERTY IS LOCATED IN A DESIGNATED AREA WHICH MIGHT QUALIFY FOR HOUSING REFORM TOC PER MTA, (BUYER TO DO THEIR OWN INDEPENDENT INVESTIGATION REGARDING THE PROPERTY AND THE DEVELOPMENT POTENTIAL). 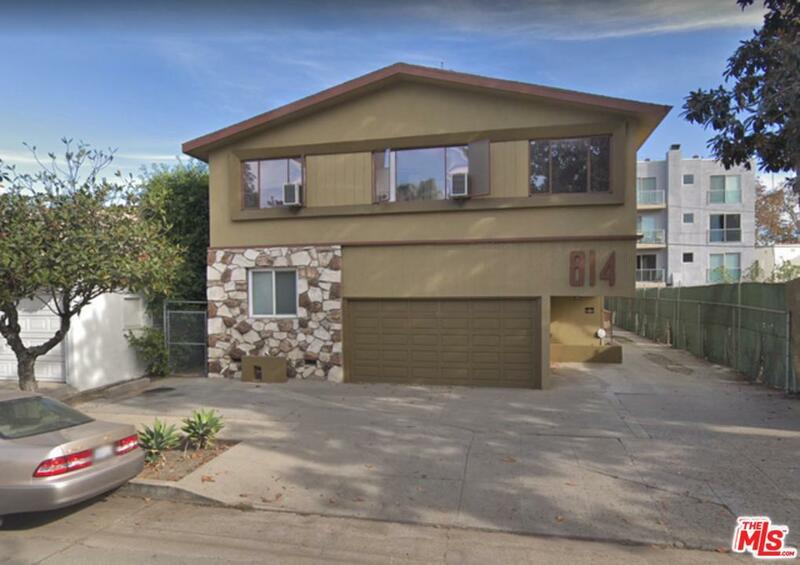 THERE IS ALSO THE OPPORTUNITY TO PURCHASE ADJACENT PROPERTY AT 8620 GREGORY WAY WHICH IS A DUPLEX. PLEASE CALL AGENT FOR MORE INFORMATION. BOTH PROPERTIES ARE SOLD FOR LAND VALUE. OPPORTUNITY TO BUILD UP TO 34 UNITS ON BOTH LOTS (BUYER TO VERIFY) THAT ENCOMPASSES AN AREA OF APPROX 11,791 SF. BOTH BUILDINGS ARE CURRENTLY 100% OCCUPIED AND CAN BE SOLD INDIVIDUALLY OR TOGETHER. PER ASSESSOR RECORD 8620 GREGORY WAY IS A 2 UNIT RESIDENTIAL PROPERTY AND 814 S. SHERBOURNE DR IS A 7 UNIT APARTMENT BUILDING. Listing provided courtesy of Shiva Mehrdad DRE#01279649 of Power Brokers International.